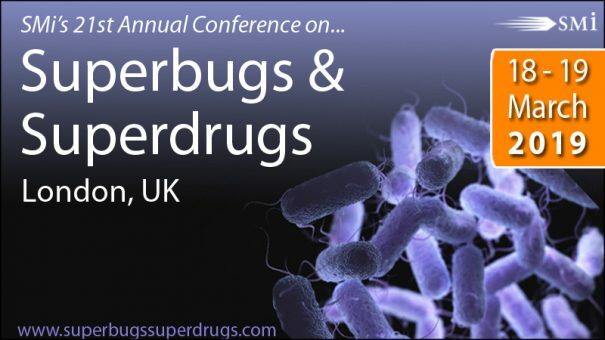 After great success in both the UK and USA, SMi is delighted to announce the return of their Superbugs & Superdrugs conference (http://www.superbugssuperdrugs.com/pharphorpr) for its 21st year running to London in March to help inspire, educate and support the global commitment to tackling multidrug-resistance amongst bacteria populations. The two-day conference is set to give an in-depth analysis on the various strategies in place to support antimicrobial resistance research & development, the latest scientific advancements for tackling antimicrobial resistance, as well as potential novel candidates and alternatives to anti-microbials. This year’s event will not only provide the latest updates on antimicrobial research development, but will also focus on strategies companies use to assist development of new therapies. In addition, attendees will also learn about obtaining funding, and why there’s a lack of incentives for researchers working in antimicrobial resistance research and development. John Rex, Chief Medical Officer at F2G will be presenting at this year’s conference on “Anti-Infective Research: Funding, Filing and Finance”, where he will provide updates on funding initiatives, recent changes in the regulatory landscape, and payer models: evolving global discussions. The 21st annual conference will host an international gathering of expert speakers from industry-leading organisations with the aim of sharing their combined experience and expertise about the ever-evolving threat of antibiotic resistance. Download the brochure on the event website to see the two-day agenda and speaker line-up at http://www.superbugssuperdrugs.com/pharphorpr. Book your place before 30th November to save £400.